my name is Maxine and I&apos;m making little games. I concentrate on making old school games, mostly. Stuff from old consoles, like Atari 2600 and such. Though I try to give them a new twist! My main account is over @maxine and this account is mostly for #gameDev, #pixelArt and #admin (on beach.city) stuff. I think after a rebrand is a good time for a new #introduction? 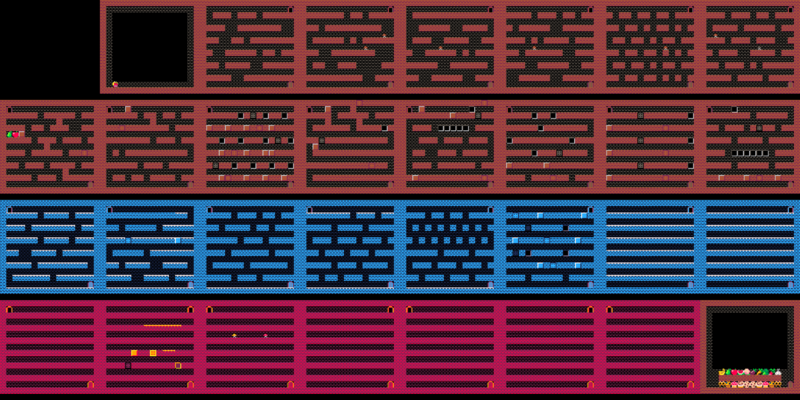 my name is Maxine and I make old school (Atari style) games with a little modern twist. This account will be mostly used to announce stuff on my #gameDev and #pixelArt. Also I am moderator here on beach.city, so if you have any problems, let me know! I think I'm done with level design of "Dungeon of snacks" and I think I am happy with it. Moo fell asnooze and dreams of being trapped on an ice field. She has to capture snacks now and pet pupper! Streaming some concept #pixelArt for a game now. OK, need to wake up a little, then I'm streaming concept #pixelArt stuff. I'm going to work on one or several games, not sure yet. I think I try to stream some #gameDev stuff. Me bumbling about in Game Maker Studio 2 and learning how things work. So I am streaming now! So, around half an hour to an hour from now on, then I start streaming some #gameDev or #pixelArt stuff. OK, I am going to stream some #gameDev stuff later today! I'm going to work on Glitch in Game Maker Studio 2. When it gets closer I let you know. So I decided to finally release the first game I ever made. 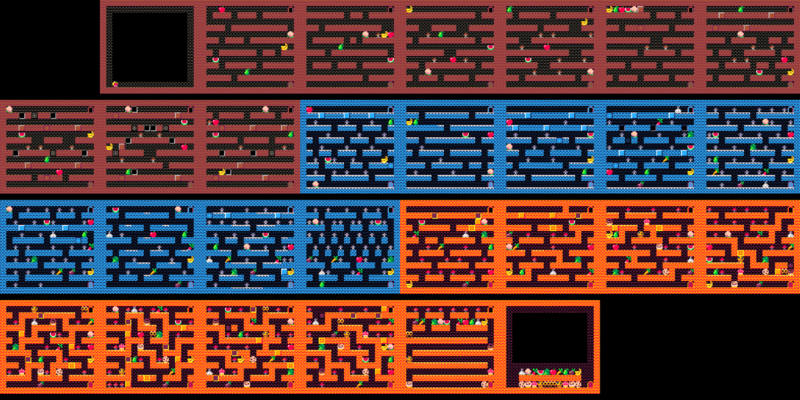 It is similar to Amoozed, as you are in a puzzle and have to find certain things to level up and such. This one is time based though! For that you see the entire map. Not an April fool's joke, but a really cute game about a moo finding munchies in a maze! If you feel generous, support me with a coin or become a patron! Trying out stuff and I think I like this art style for my things. 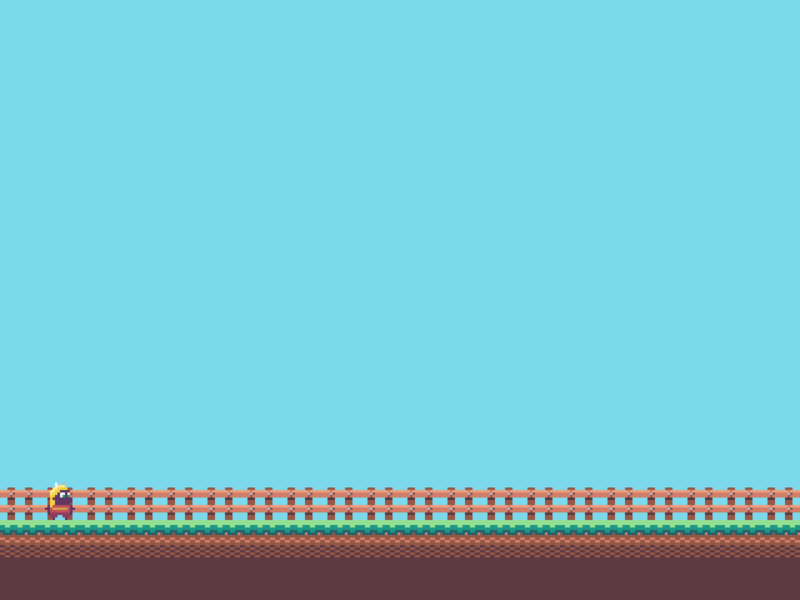 It's part of an upcoming platformer, I am working on. And my first game is on itch.io! 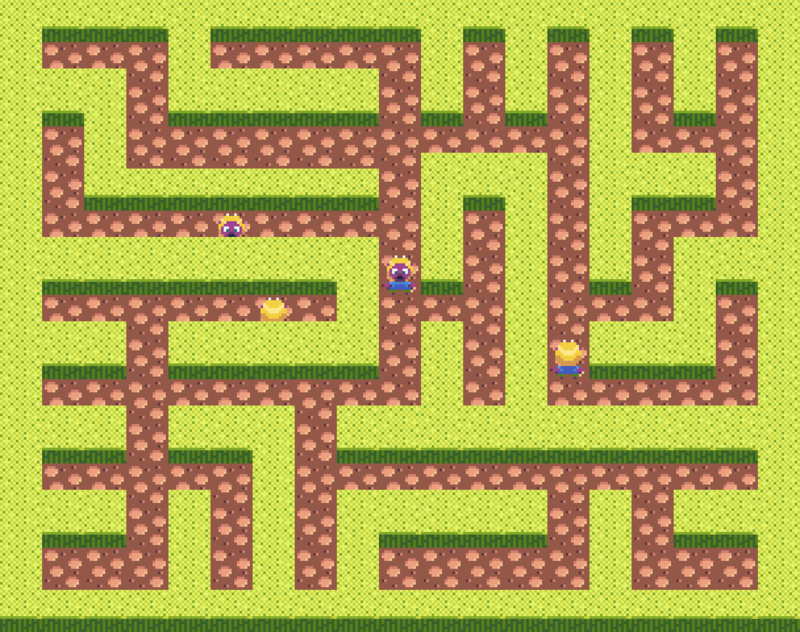 It's a cute maze puzzler game, starring moo! Collect the veggies and get points.